Sign up for the Georgia Power Network Card and start charging on our network today. 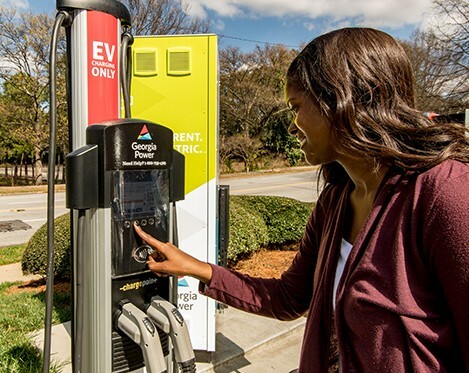 Georgia Power Network Card holders have access to the largest EV charging network, with more than 25,000 Level 2 and DC fast charging locations across the country, plus special offers, rebates and more. New to the Georgia Power Network Card? Sign up for an account in a few easy steps to get or activate cards when you create your account. In the cards section, select the option for us to mail cards to your address or select the option to indicate that you already have a card in hand and then enter the serial number found on your existing card to activate your cards. If you have additional cards to activate, click next to Add More Cards and enter the serial numbers found on the additional cards.